The Sony 300mm f/2.8 lens is listed as discontinued on the Sony USA store. 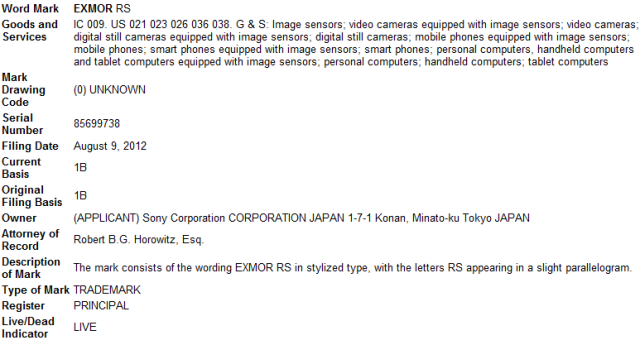 Sony is rumored to announce the NEX-5R and NEX-6 mirrorlress camera. The NEX-5R will have a new 16MP sensor with phase detection AF pixels and a flip screen. The most interesting rumor is that the new camera will have "full Internet support" where users will be able to download apps just like on a smart phone. The NEX-6 will be a light and cheaper version of the NEX-7. Expect the official announcement on August 28th. New Sony lenses: 16-50mm f/3.5-5.6 pancake zoom, 11-18 f/4.0 WA zoom and a 35mm f/1.8 prime. The Sony a99 is rumored to be announced in mid September, right before Photokina. 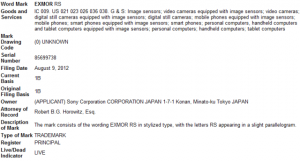 Sony trademarked "Exmor RS" - a new sensor coming out soon? This entry was posted in Sony and tagged Photokina 2012, Sony NEX-5R, Sony NEX-6. Bookmark the permalink. Trackbacks are closed, but you can post a comment.